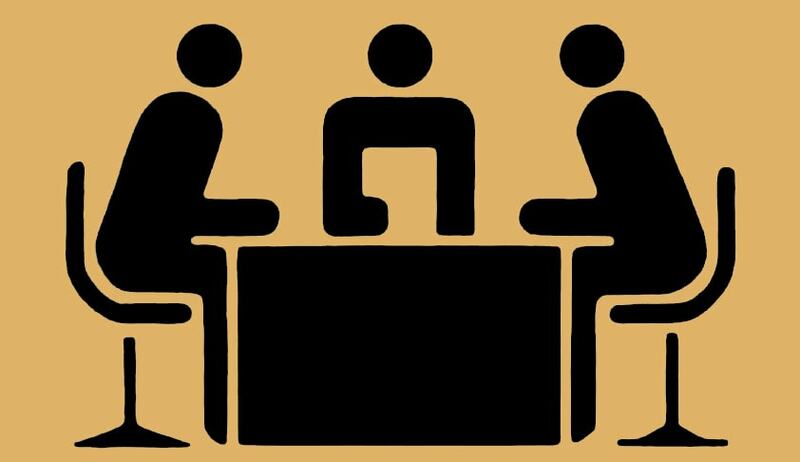 Gearing For Another Reform In Arbitration: A Tester Or Change-Maker? In the wake of “internationalisation” which is the present Indian agenda there have been several legal reforms that have been/ are being undertaken and looked closely by the present lawmakers and its enforcers. Today, the agenda of increasing foreign direct investment through liberalisation of existing norms and regulated sanctions is taking precedence and many remedial measures, including that in the space of international arbitration are being implemented. While the enthusiasm to make laws and ensure the roadblocks of the past in arbitration are being cleared up are with good intention, in our haste to make changes, particularly in the civil/commercial dispute resolution space, the under-preparedness in execution/implementation plans is a whole box of tax payer money, which simply put, we cannot afford to lose! The 2015 Arbitration Amendment: Has it worked? Reform in arbitration, in general, has been an ongoing talk since the early 2000s which culminated in the Arbitration and Conciliation (Amendment) Act, 2015. Here, it must be pointed out, that the tenor of the amendments, particularly with the inclusion of timeframes for completion of arbitration, takes away from the meaning of ad hoc, where parties set their own process and pace. It is abundantly clear that the amendments were geared towards an institutional framework for arbitration; given that the pitfalls in the arbitration process were akin to commercial litigation; i.e., the time taken to complete the process was too long and parties and counsels were shying away from the process due to its inadequacies. The 2015 came with a further confusion of its own, since the amendments seemed as if the government seemingly was geared to do away with ad hoc arbitration but in the end couldn’t make up its mind on which institutions should be included or the method of government-sanctioned certifications for arbitral organisations, as is the case in Singapore and therefore, stuck to including a timeframe, which is a key element of party autonomy that is associated with ad hoc arbitration. Thus, the amendment slotted all cases in one bracket, deeming them resolvable within 18 months, which is absurd since each case has its own characteristic. Today, while, we wrap up close to three years of this amendment, the ability to map the implementation efficiency is once again absent. Has this amendment worked? Once again, a reminder, is in order, that this law was passed by ordinance and whether its still a tester that might be replaced in the future or is here to stay is another question which we do not have the answer to. Looks like it isn’t going anywhere and other pressing matters are now being catered to. The establishment of the Indian Arbitration Council and the 2018 amendment: Will it Work? In the arbitration space, bearing past experience, an amendment without statistically cataloguing the actual benefits to the arbitration system, which was collapsing under the weight of its own inadequacies of time, cost and quality, cannot support the growth of the process. This understanding seems to be absent and a cataloguing mindset of statistics to assess the merits of the changes, is missing while the establishment of the Indian Arbitration Council (IAC) to cater to international commercial disputes and potential investment treaty claims is now on the periphery. One cannot argue with the thought process and the necessary debate that went on to conclude the decision of setting up the IAC. However, the recommendations and proposals that were put forth by the high level committee for institutionalisation of arbitration proposing the set up of the IAC look at a more theoretical framework than offering a five year game plan for the suggestion. The proposed 2018 amendment seems to culminate this mindset. This could also be another ordinance passage in making without a tracking method in place. If we are to state that the implementation method is the role of the executive, then a report which includes cost benefits analysis should be made in parallel to proposals of this scale, which in this case is once again missing. Should it not? The report on its own comprehensively detailed and distinguished complexity in international commercial arbitrations and the need to be able to cater to them with a body of arbitrators and administrators who do not land the Indian government in a delay of justice coup like in the past of bilateral investment treaty cases. Thus, seemingly, the IAC can be viewed as an attempt to distinguish different types of cases that can be arbitrated and catering to the audience of the case in a manner that warrants it. An important element that is absent, in the 2018 amendment, is the inclusion of different dispute prevention methods to be used in parallel with arbitration; which in the international commercial dispute resolution space have garnered importance in several countries such as the US, Singapore and Hong Kong. This is the inclusion of negotiation and mediation clauses in investment treaties. How hybrid methods of conflict resolution are the need of the hour. Various conflict resolution processes need to support each other, today, for the Indian international arbitration system to take off and not become a case of giving up which has happened in the past with institutions such as the LCIA shutting shop. Arbitration and litigation in the civil /commercial space cannot be treated as one way streets to resolution and the inclusion of various mechanisms to - (i) create a sense of comfort in the resolution system in the international investment community through timely resolution of cases with enforcement and quality based sanctity; and (ii) not repeat ourselves in the types of reforms that we bring to the forefront, is critical. The method seems to be set up an independent body that works on it own. While the idea is ideal, it is also utopian, since the question of it being a feasible one without dealing with the problems of civil/ commercial cases that presently plague the dockets remains in the background. The IAC could either be a game changer or another administrative body that gets shackled with bureaucratic demands which remains the biggest concern amongst legal practitioners today in the wake of the national company law tribunals and the debt recovery tribunals in the past. Now and the Future: Where are we at and where are we headed? India, at present, has too much change in the pipeline without taking stock and comprehensively using the study of the past and present to align a workable future for arbitration. While there might be different types of arbitration, bearing in mind complexity, the underlying question of who should use arbitration, how should arbitration be used and how can different processes in the alternative dispute resolution space aid each other, needs delving into, for reforms to stick and make change. Unfortunately, we cannot say this from what we are witnessing today. The author is an Erasmus for Young Entrepreneurs Fellow with the Negotiation Academy. Views are personal.